It’s certainly a masterwork, in that it’s the picture of professionalism, all immaculate composition and delirious craftsmanship. But would I be too eager in calling it a masterpiece, as in “a film that will endure and come to be acknowledged as a classic”? I mean, we’re talking about Martin Scorsese here. It’s not like he hasn’t made a couple masterpieces already. But I also know that I can get overly enthusiastic. So maybe I’ll keep this short, and come back to it some day soon. 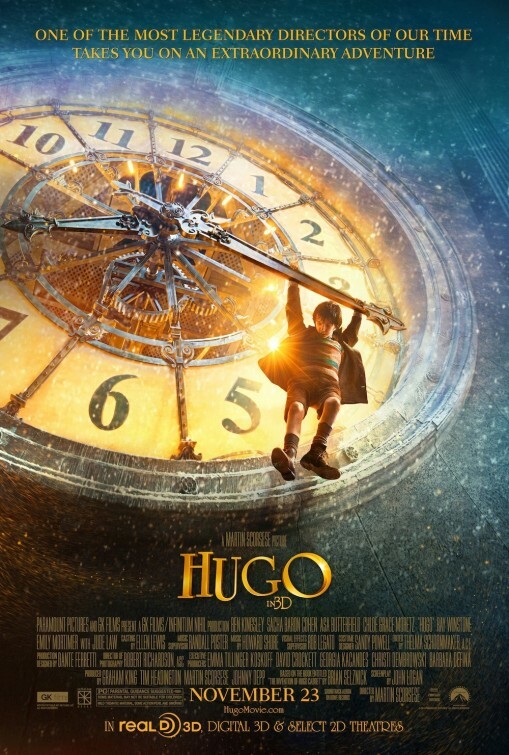 The story centers around a boy named Hugo (Asa Butterfield, terrific), who is raised by a single father (Jude Law, in a brief role) to be a builder and fixer of clocks in the city of Paris. When Hugo loses his father, he is taken in by his brute of an uncle (Ray Winstone, in an even more brief role) to help run the clocks in the central train station. 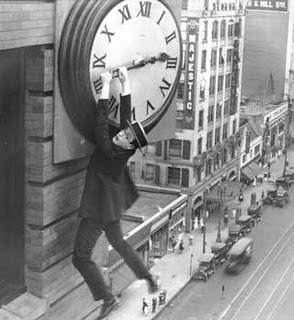 The uncle wanders off in a drunken stupor, leaving Hugo alone to keep the clocks running. A nasty security guard (Sacha Baron Cohen, a precision instrument of comedy) patrols the station, scooping up unattended minors to ship off to the orphanage, and Hugo spends his days avoiding this creep, literally living in the walls. Hugo has exactly one artifact to remind him of his beloved father — an “automaton”, basically a small robot that waits, poised, to write a message with pen and paper, which Hugo diligently labors to activate. 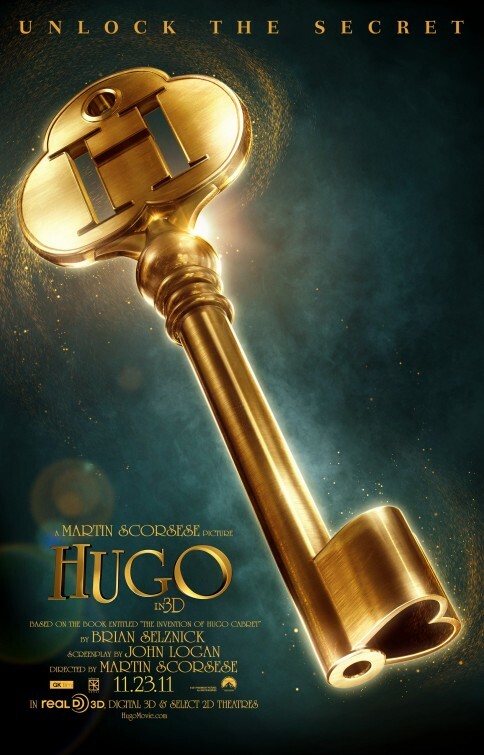 Events put Hugo in the path of a girl (Chloe Grace Moretz, the talented young actor from Let Me In) and her guardian, an embittered toy maker (Ben Kingsley), who literally hold the key to making the automaton work and getting it to reveal its secrets. There are other wonderful characters populating the station and the film, such as a portly gentleman who is continually harassed by a small dog (Richard Griffiths, in a great tribute to Oliver Hardy), a lovely flower girl (Emily Mortimer) who the patrolman loves from a distance, a friendly academic (Michael Stuhlbarg, initially unrecognizable from his turn in A Serious Man) who comes into play later in the story, and best of all, Msr. Labisse (Christopher Lee), the saintly owner of the station’s bookstore, who generously lends books to the kids just because they love to read so much. Christopher Lee, with that unearthly voice and unmistakable frame, haunts this movie in the best possible sense. As one of the living legends and literal icons of film — the words “legend” and “icon” are overused but this man eminently qualifies — he is like a human testament to the love of filmmaking which gilds every frame of this movie. — from the design of the automaton which hearkens back to Metropolis, to the skeletal dancers in another scene which recall a similarly fleeting ominous omen from Renoir’s The Rules Of The Game, to Sacha Baron Cohen’s melange of influences including Jacques Tati and Inspector Clouseau, right up to the smorgasbord of silent films both real and imagined which bring the viewer back to the joy and the innocence and the freshness of the very early days of cinema, birthed by the Lumière brothers and Georges Méliès and their compatriots. Scorsese’s joy is so palpable that he can’t help himself from hopping into the action and making his first director cameo in many years. And the joy is infectious. Between Robert Richardson’s cinematography, never more vibrant, and Dante Ferretti’s astonishingly meticulous production design, Hugo is a literal feast for the eyes. Would I quibble? No, actually, I don’t think I can! Not with the movie itself, but I do have slight concern about its marketing. I saw this movie without my four-year-old niece, who is normally my favorite companion for G-rated and PG-rated movies. She wants to see it, and I feel that eventually she will love it. But I don’t think she’s ready for a 3-D movie that lasts over two hours. Hugo may be too long for all but the most patient of children. I could be wrong. I’m hoping I am. It looks likely that I’ll be testing that prediction soon. I can tell you that I personally will gladly sign up for another screening. This time I’ll watch her smile as she watches the movie. It’s great. Heed none but the most favorable reviews. Go, now, while it’s still playing in 3-D on the biggest screens possible. Seriously. Get going. Or else I’m going to start back up writing more about it. 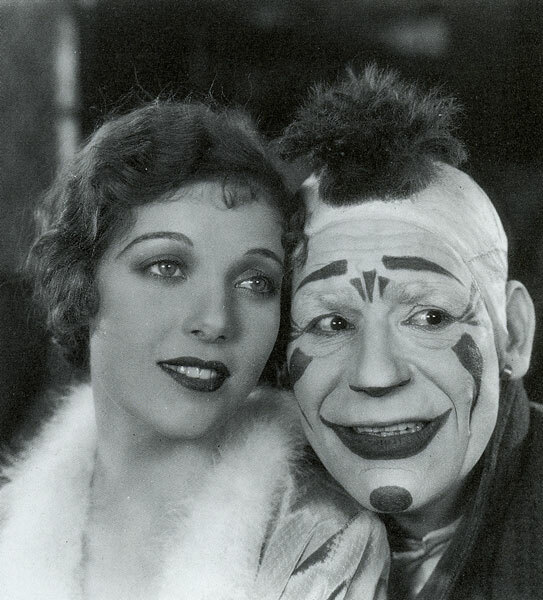 Today I’m spotlighting a movie all the way from 1925. Don’t let that scare you off. Give me two paragraphs and trust me, you’ll want to stay. 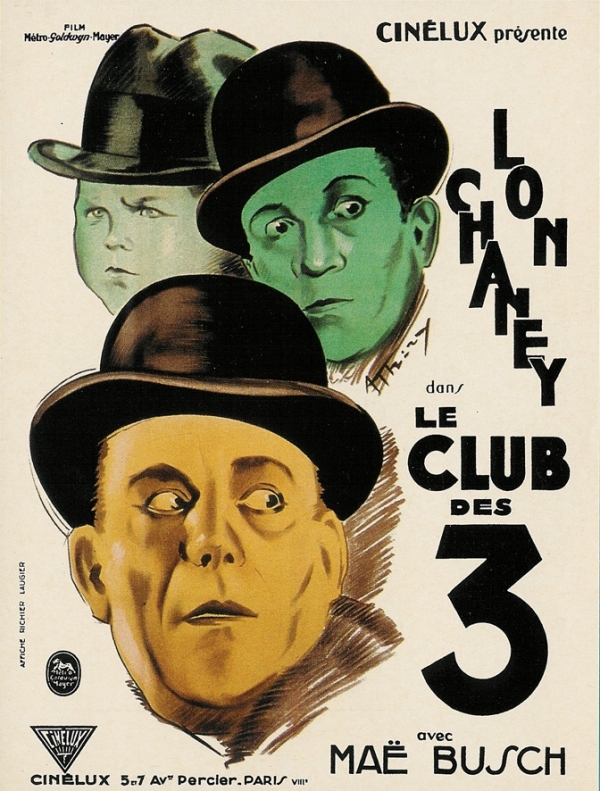 The Unholy Three was a massive hit in its time, and critically well-received, which makes it one of the most successful movies to be barely remembered by history. Director Tod Browning later made the monumentally influential Dracula with Bela Lugosi in 1931, and the infamous and historically crucial Freaks a year later. 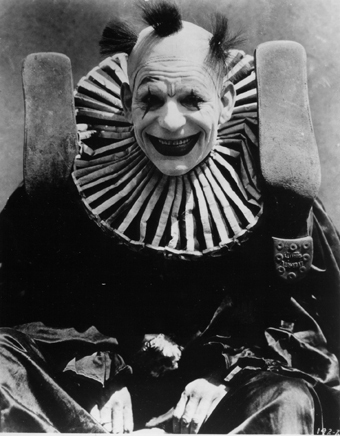 Browning is a fascinating figure in his own right, beginning his career as a circus performer known as “The Hypnotic Living Corpse” and then moving into motion pictures. But that’s another story, and I’m too excited about The Unholy Three to talk about anything else. I first read about The Unholy Three in an incredible book called The Monster Show by cultural historian and monster-movie expert David J. Skal. Skal encapsulates the story like so: “a crime spree perpetrated by three circus performers – a ventriloquist (Lon Chaney), a midget (Harry Earles), and a strongman (Victor McLaglen). [Fed up with the circus life, the trio set up a false front for their criminal activities in a parrot shop.] The ventriloquist disguises himself as an old lady, and the midget assumes the guise of a baby.” IMDB will list their respective names as Professor Echo, Tweedledee a.k.a. Little Willie, and Hercules. Also, there is a giant chimpanzee prominently featured in the film. If there’s someone out there who can get through the preceding paragraph and not want to see this movie right this minute, I sure don’t want to know ‘em. 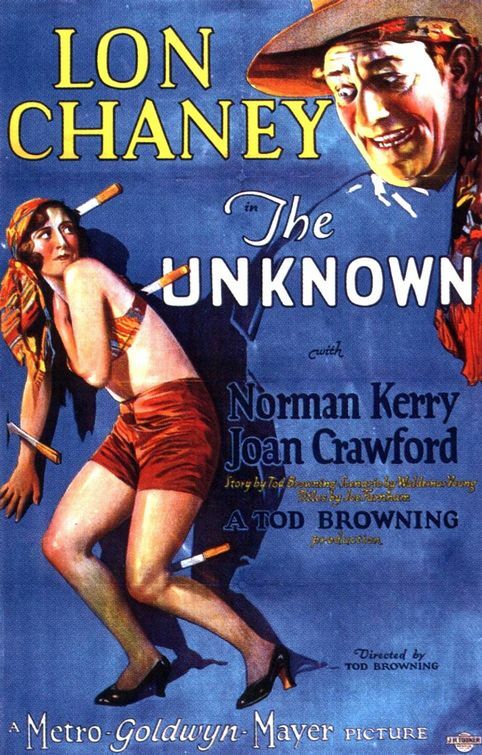 The Unholy Three is a silent film, and was later remade by Browning and Chaney after the arrival of sound. It’s not an easy movie to track down, in either version. When I finally did, I went with the original. Due to that amazing summary, my expectations were sky-high – and they were still surpassed. As you might expect of an 86-year-old silent movie, The Unholy Three is somewhat dated (though not as much as you’d think) and some of the storytelling techniques and plot devices are somewhat rudimentary, seeing as how the film medium was then in its infancy. But it’s astonishing how vivid and entertaining the movie still remains today. The running time flew by, as the humor in the dialogue and staging (almost entirely intended) was incredibly hilarious, and there were even a couple resonant emotional moments. 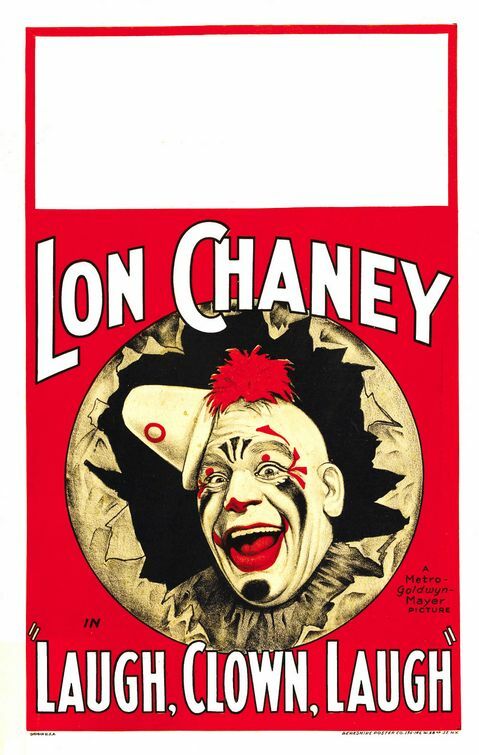 Lon Chaney, the legendary ‘Man Of A Thousand Faces’, plays the entire movie with his real face, even while under a gray wig as “Grandma O’Grady”, and he is funny, sinister, and moving. Victor McLaglen, as the strongman, is sympathetic as a loyal man who is too susceptible to negative influences – McLaglen went on to a long career as a memorable supporting player in Gunga Din and in John Ford/ John Wayne westerns. But by far, the most unforgettable character is Harry Earles, who was the romantic lead in Freaks and who represented the Lollipop Guild in The Wizard Of Oz. 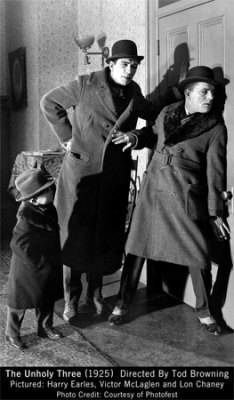 Earles plays all the baby moments for high comedy, and is equally convincing as the most vicious and Unholy of the three. 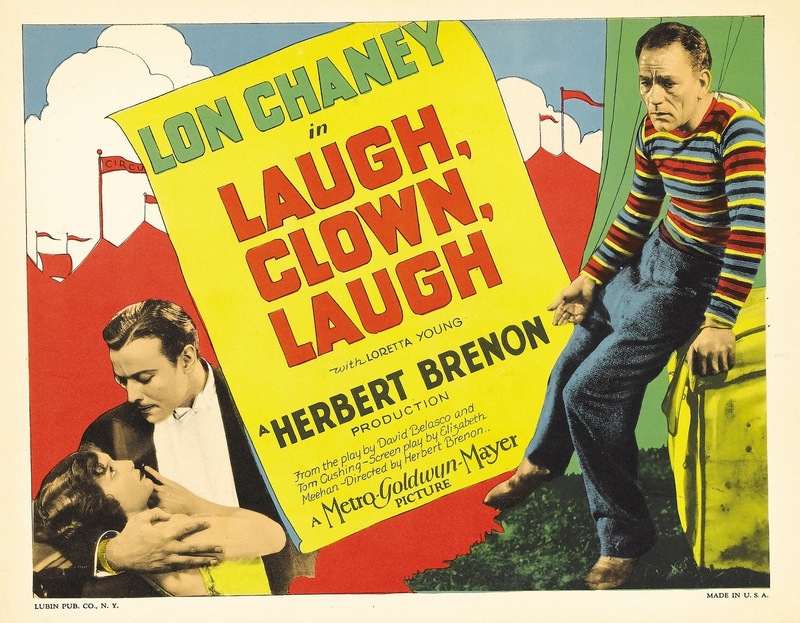 Browning, a circus performer himself, was unusually sympathetic in his films towards the more “unusual” characters – that Tweedledee is the meanest of the criminals is a bold characterization, and worth remembering in a film culture that has devolved in the past eight decades towards lampooning little people and other disabled persons, despite all the politically correct lip service to the contrary. Since it’s not a very long movie, I don’t want to overly detail what happens once these three team up and eventually start getting on each other’s nerves, but if I restate the fact that a giant chimpanzee is involved, will you believe me when I tell you that it is AWESOME? Really, if you ever get a chance to see this movie, definitely jump at it. It had me erupting with laughter, surprise, and joy. 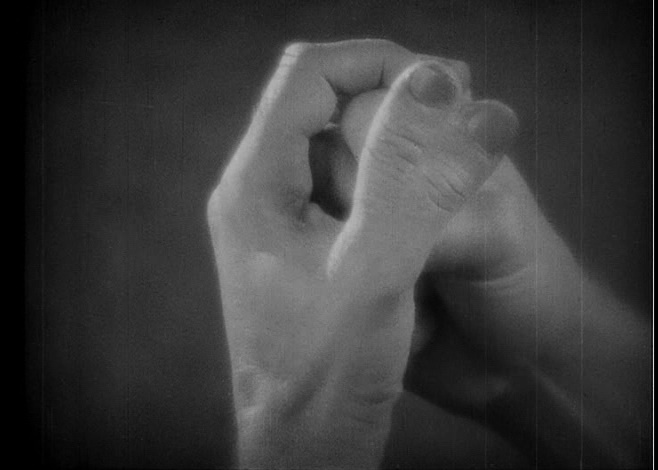 In general, seeing silent films is an underrated pleasure – and an educational recommendation for modern filmmakers who use wordy dialogue as a crutch and don’t tell story through image. The Unholy Three is brisk and concise entertainment. Check it out, and please – keep your eyes open for babies with cigar smoke on their breath.